Analogue Productions' Blue Note and Nat "King" Cole Reissues WIN A Positive Feedback 2010 Brutus Award! 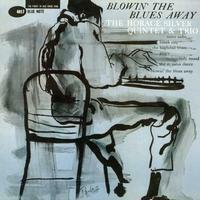 Everyone's favorite Horace Silver record featured the classic quintet with Blue Mitchell and Junior Cook. The title tune, the beautiful ballad "Peace" and the soulful "Sister Sadie" are now standards in the jazz canon. Even given Silver's astonishing track record, this one stands out. (5 Stars) 1 person(s) rated this product.